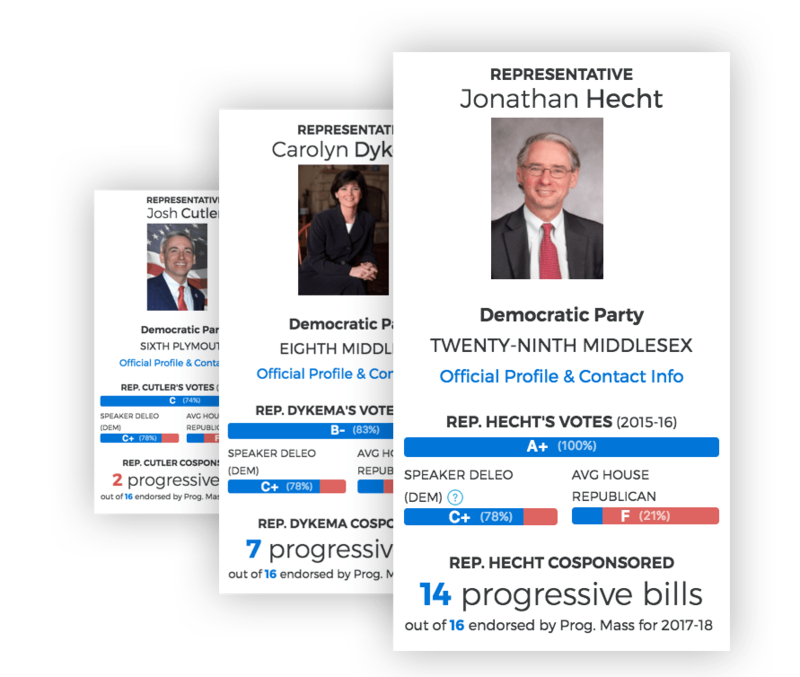 Are your Massachusetts representatives fighting for your progressive values? is a grassroots organization that tracks legislation in order to provide people with the knowledge they need to enact positive local change. Progressive Mass provides summaries of important bills and follows their paths through the State House. By viewing which legislation your local representatives cosponsored and voted for or against, you can begin to understand their legislative priorities. Call or email your local legislators and talk to them about legislation that's important to you. This scorecard is the work of a volunteer-led team. If you spot an error, please contact us at corrections@progressivemass.com.